Are you looking for a fun craftivity for the crazy days before the Thanksgiving holiday break? Look no further! 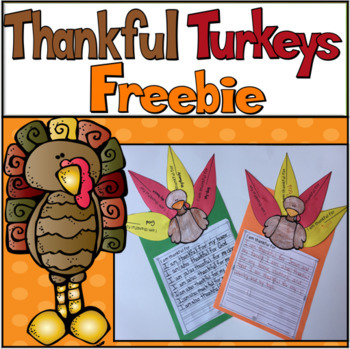 Students will love assembling this turkey and writing about what they are thankful for in both their writing and on the turkey feathers. I hope you and your students enjoy making this Thanksgiving keepsake! Happy Thanksgiving! Apple Emergent Readers With Bonus Worksheets! !